Online reviews affect almost every type of transaction- from booking a wedding venue, to where to eat dinner, to which dentist or doctor to go to. In 2012 studies showed that about half the people online were swayed by reviews. That number has jumped to almost 80% in the last two years. According to Nielsen’s latest Global Trust in Advertising report, online consumer reviews are already the second most trusted source of brand information and messaging, with 70 percent of global consumers indicating they trust online reviews. Researchers have found that these reviews gives people the confidence to make the purchase or take the action they’re contemplating. So you can either stick your head in the sand and hope for the best, or you can take control of the review process. Tap into this fountain of feedback from your customers and use it to improve and expand your business. Even the American Medical Association has seen just how powerful these online comments can be. They recently published an article advising doctors and medical practices to monitor and manage their reviews. Healthcare professionals build their practice on their reputation and that reputation is now won or lost with online reviews. Another study shows that over 80% of the people looking for a lawyer start by looking at online reviews. Surprisingly, Yelp is the preferred site – not the specific legal review sites. A legal firm also builds their business on their reputation. A few bad reviews can undermine years of good work. Start 2015 by investing in a system that will automate much of this work and give you the tools to monitor, manage and measure your performance. Put a feedback loop in place, so that you know exactly how your customers, patients or clients feel about their experience with your business. 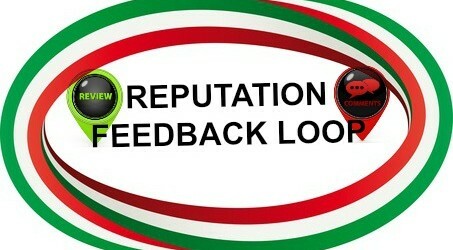 Handle any negative feedback before it gets posted online and protect your reputation.